Mars will spend one more month in Aries directing your time and energy at your income and possessions. If you feel that something is threatening your property, you’ll defend it at all cost.  Besides, July promises to be good for work-related issues and your health thanks to Mercury and Venus staying in your sign. The bad news is that Venus may encourage you to indulge in food sometimes, but the good news is that your overall health will still remain good for the biggest part of the month. In the middle of July, Saturn will move into the same area of your chart and will stay there for the next two years making it harder than usual for your to complete some tasks.